Hughes Hubbard advised Marcou Transportation Group through a multifaceted "loan-to-own" purchase of the business operations of Miami-based Worldwide Transportation Inc. 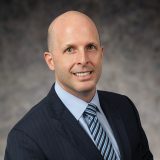 The sale, which closed on March 15, 2016, was conducted through a structured bankruptcy proceeding in the Southern District of Florida and executed on an expedited basis, despite the fact that it touched upon myriad corporate, finance, insurance, employment, bankruptcy and regulatory issues. As a result, the largest luxury transportation company in the country has now extended its reach to the greater Miami area. Marcou is the premier provider of premium chauffeured transportation services in the United States, offering a variety of transportation services including luxury sedans, taxis, buses as well as other special transportation services through its various brands, including BostonCoach, Harrison Global, Dav El and Regal Limousine brands. Marcou has over 3,000 employees and operates over 1,700 company-owned vehicles in various states along the East Coast, as well as in Illinois and California. Despite this impressive coverage, Marcou did not have a presence in the greater Miami area. Enter Worldwide Transportation Inc., which provided chauffeured transportation services primarily to Miami and its environs, but was facing severe business pressure as a result of cutthroat competition from ride-sharing companies. Although Marcou and Worldwide were a natural fit, Worldwide was a defendant in dozens of lawsuits commenced by former drivers alleging violations of the federal Fair Labor Standards Act (FLSA) and seeking millions in back pay, benefits, attorney's fees and punitive damages. The potential liability presented by these lawsuits prevented Marcou from simply purchasing the business operations of Worldwide Transportation outright. 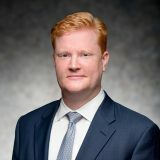 Instead, Hughes Hubbard assisted Marcou in negotiating a structured bankruptcy sale pursuant to section 363 of the Bankruptcy Code that would allow Marcou to purchase substantially all of Worldwide's assets free and clear of any potential liabilities, including, most importantly, any liabilities arising from the FLSA lawsuits of the former employees. The first step was provision of a bridge loan by Marcou to Worldwide in order to allow it to continue operations until the asset purchase agreement could be finalized and bankruptcy could be commenced. This bridge loan was unique as the collateral was proceeds from the potential sale of luxury sedan permits, as the permits themselves could not be subject to a UCC lien under applicable local regulations. Second, once the bankruptcy had been commenced, Hughes Hubbard assisted Marcou in providing debtor-in-possession financing to Worldwide so that the debtor could preserve the going business concern value of the company until the bankruptcy sale was completed. Marcou was then able to credit bid the combined value of these loans to offset a portion of the eventual sale price. Finally, Hughes Hubbard stewarded Marcou through the bankruptcy proceeding, which included responding to numerous objections from creditors and the U.S. trustee, as well as navigating the exacting standards of the Bankruptcy Court for the Southern District of Florida. The sale process itself was unique as Marcou reserved the right to designate the actual assets to be purchased, and completed diligence with this final list of purchased assets only a week before the bankruptcy court approved the sale on March 1. As a result of the careful structure of the transaction and a number of successful negotiations with creditors and the U.S. trustee, Hughes Hubbard was able to greatly expedite the sale process. The time from the execution of the Asset Purchase Agreement (APA) to the closing, free and clear of any potential litigation liability, was only 45 days. 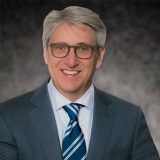 Nick Swerdloff is the client partner for Marcou. Chris Kiplok and Freddie Goudie lead the Hughes Hubbard team. 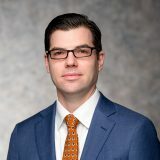 Dustin Smith handled the day-to-day management of the transaction, including negotiations of the APA and financing documents with assistance from Celeste Pozo and Charlotte Marill, and all bankruptcy matters and court appearances with assistance from Aviva Wernick.